Vegetarian cuisine has long moved on from dried beans and nut-loaf and people are enjoying meat-free meals in ever-increasing quantities, for health reasons and personal preference as well as for ethical considerations. 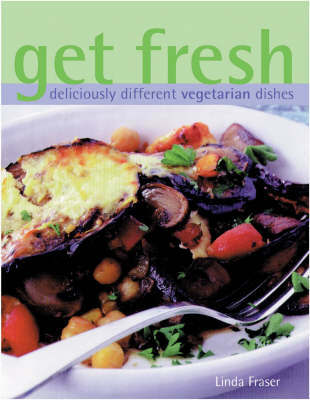 Whether you are a committed vegetarian, or you just want to vary your routine with meat-free dishes, this book will provide a fabulous range of continually fresh and inspiring ideas. Packed with over 200 imaginative and easy-to-prepare recipes to choose from, this book ensures that you will never be short of a perfect and tempting vegetarian dish for any occasion.